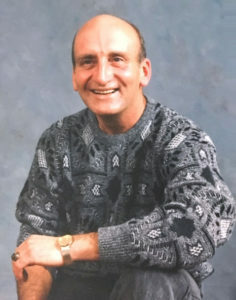 Rod Abrams Funeral Home Ltd. Gerald Sweeney - Rod Abrams Funeral Home Ltd.
Saturday January 19, 2019 from 1pm - 2:30pm. Saturday January 19, 2019, A time of spoken Remembrances at 2:30pm. Born in Weston, Ontario to Mary and James Sweeney. The youngest of 11 children. Husband to Donna Montgomery Sweeney and married since September 28, 1963. Father to Elaine (Dave) and Paul (Kimberley). Grandfather to Brandon (Laura) and Britney (Trevor) and great grandfather to Oaklynn. Survived by his brother Albert. For more than 36 years Gerald worked as a Transport Truck Mechanic. Gerald actively played hockey within the Beeton, Tottenham and Schomberg communities. On Friday January 11th, Gerald passed away suddenly at South Lake Hospital in Newmarket. Thank you to the three emergency room nurses for taking good care of Gerald in his final hours and to Mackenzie Place in Newmarket for his long-term care. A Celebration of Gerald’s Life will take place Saturday January 19, 2019 at Rod Abrams Funeral Home 1666 Tottenham Rd. Tottenham 905-936-3477, with visitation from 1pm until a time of spoken Remembrances at 2:30pm. In lieu of flowers the family asks that donations be made in Gerald’s memory to the Heart and Stroke Foundation. Gonna miss your cheeky giggle Dad! I’m very sorry for your loss . Thinking of each of you at this difficult time. May the memories help you during this difficult time and know that you are in our thoughts and prayers. Deepest sympathy to you and your family. Donna, Ab and families, we are sorry to learn of Gerry’s passing. There are many fond memories over the years during my years in the Tottenham store where we first met and continuing on as we grew to know each other’s connections in the community. Our thoughts and prayers are with you all at this time. Donna and family, I am so very sorry for your loss. My sincere condolences. May GOD get you through these difficult and painful times. I have very Fond Memories Gerald, my only Brother-in-law. Until we meet again. So sorry to hear about Gerald. Thinking of you at this time. Condolences to your family Paul. As kids we had some great times hanging out in Penville with the Gould and Sweeney families. Sorry for your family’s loss Paul. My heartfelt sympathies to you all! Donna, Paul and Elaine, so sorry to hear about Gerald. We remember many happy hours at hockey, dances, etc. with you and Gerald and the rest of the Schomberg group. Love and hugs.